After finishing up a particularly difficulty case. 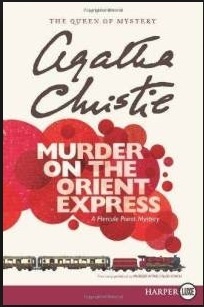 Hercule Poirot boards the orient express unaware of the events that will pursue. After a passenger is found dead with his door locked from the inside. Poirot has more than his fair share of suspects to interrogate, especially when he finds out that almost everybody on the train has a motive. Now it is up to Hercule Poirot to find the killer before the train reaches its destination and the murderer is lost forever. I must say I got this book for Christmas a couple of years ago and I instantly understood why it is as famous as it is. This book is a classic and no doubt about that. Next Next post: Lockwood and Co.